CLEVELAND, July 20, 2018 /PRNewswire/ -- MGM Resorts International was honored with the National Council on Problem Gambling's (NCPG) Corporate Social Responsibility Award Friday at the organization's 32nd National Conference on problem gambling in Cleveland. The award – which recognizes an organization that demonstrates an outstanding commitment to social responsibility related to problem gambling – was presented in recognition of the company's ground-breaking responsible gambling program: GameSense. Launched nationwide at MGM Resorts' properties late last year, GameSense integrates responsible gambling education and support into the company's industry-leading guest service culture. It's all designed to help guests make informed decisions and keep gambling fun. "We are thrilled to receive this honor from the National Council on Problem Gambling and can't thank them enough for the incredible work they do in raising awareness in the problem gambling community," said MGM Resorts Chairman & CEO Jim Murren. "GameSense has been a tremendous success and is already transforming the way the industry approaches responsible gambling. MGM Resorts is at the forefront of driving the conversation and culture around this important issue, and GameSense ensures responsible gambling education is at the heart of our guest service model at every one of our casinos – worldwide." 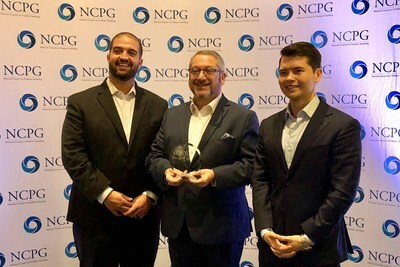 NCPG Executive Director Keith Whyte added that his organization is pleased to recognize MGM Resort's innovation and leadership with GameSense with its Corporate Social Responsibility Award. "We're so proud to congratulate MGM Resorts on this achievement," Whyte said. "Their steadfast support, innovation and leadership in taking GameSense companywide has set the standard in the casino industry. They have raised the bar considerably and – most importantly – greatly benefited their employees and customers." GameSense comes alive through personal interactions between guests and trained staff based at each property's M life Rewards desk. In addition to speaking to trained employees, guests are also utilizing interactive GameSense touchscreens and picking up educational materials and other resources. This unprecedented commitment to integrating responsible gambling education into the company's entire guest service model is unlike anything the industry has seen before. Alan Feldman, Executive Vice President of Global Industry Affairs, said the response to the company's responsible gambling efforts has been outstanding, adding that guests and employees alike have enjoyed and benefited from having positive, open and proactive conversations about how to gamble responsibly. "In less than a year, GameSense has sparked more than 350,000 positive conversations and interactions with guests, and the numbers continue to grow at an unprecedented rate. With GameSense, MGM Resorts has expanded and enhanced the scope of responsible gambling culture beyond anything the industry has ever seen," Feldman said. "The program's goal of building stronger and more sustainable guest relationships has been incredibly successful, and we look forward to driving the conversation and integrating this program wherever our company operates." Integrated nationwide by MGM Resorts in late 2017, GameSense enhances awareness and education about responsible gambling for players and guests and, in doing so, raising the standards within the industry. The program was developed by the BCLC, British Columbia's provincial gambling corporation and encourages players to adopt behaviors and attitudes that reduce the risk of developing gambling disorders. This includes setting and sticking to personally allocated time and monetary limits for gambling, as well as being open and honest with family, friends and oneself when it comes to personal gambling habits. GameSense has earned international recognition such as the World Lottery Association's Best Overall Responsible Gambling Program (2010), and the U.S.- based National Council on Problem Gambling's Social Responsibility Award (2015). In addition to being licensed at MGM Resorts casino properties, the program has been implemented by Connecticut Lottery, the Massachusetts Gaming Commission and Canadian provinces Alberta, Saskatchewan and Manitoba. MGM Resorts International (NYSE: MGM) is an S&P 500® global entertainment company with national and international locations featuring best-in-class hotels and casinos, state-of-the-art meetings and conference spaces, incredible live and theatrical entertainment experiences, and an extensive array of restaurant, nightlife and retail offerings. MGM Resorts creates immersive, iconic experiences through its suite of Las Vegas-inspired brands. The MGM Resorts portfolio encompasses 28 unique hotel offerings including some of the most recognizable resort brands in the industry. Expanding throughout the U.S. and around the world, the company in 2018 opened MGM COTAI in Macau and the first Bellagio-branded hotel in Shanghai. It also is developing MGM Springfield in Massachusetts. The 78,000 global employees of MGM Resorts are proud of their company for being recognized as one of FORTUNE® Magazine's World's Most Admired Companies®. For more information visit us at www.mgmresorts.com.